Nowadays, taking photos or pictures has become quite simple with the availability of high-end camera phones and tablets. There are also several camera apps and photo editing software that allows the users to make lots of changes to their images. There are special mobile apps that allow you to apply color corrections and filters while taking pictures. So if you are planning to visit a friend’s party or reception you can equip yourself with all these gadgets for taking amazing photos of your friends and family. However, if you are hosting the party, you may not get ample options to take pictures as and when required. In such cases, you need to hire a professional photographer who can handle the work for you. Read on for some tips on hiring a perfect event photographer. Different photographers have a different working style. The conventional photographers used to follow a common style wherein they request the guests to pose for their clicks. Some of them simply ask the guests to smile at their camera. This kind of practice is quite common at wedding receptions where the bride and the groom are constantly asked to offer their good looks and expressions for getting photographed. This kind of working style may help the photographers in getting good images. However, it caused a lot of inconvenience to the people. Therefore, in the recent times, there is a shift in this practice and the modern photographers allow their clients to act normally. This allows them to take many pictures that look natural. So if you are hiring a wedding photographer from Joondalup make sure that he adopts a working style that suits your comfort level and personal requirements. When you hire professional photographers for covering a private function, you may not be able to watch their every move while they are working. If the photos aren’t coming right, you cannot make any last-minute changes. So before you appoint them, make sure that they make use of the best cameras, lights, and other photography gadgets that are essential for generating high-quality images. 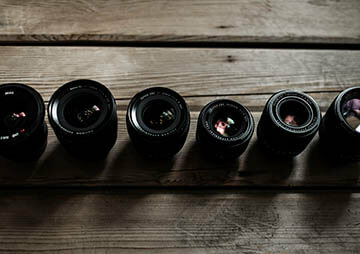 Most of the reputed photographers own the best combination of equipments that allow them to work smoothly. So while choosing a photographer you need to discuss the kind of equipments he owns and also check the quality of images he can capture. Most of the photographers charge a fairly high rate for covering big events and parties. However, reputed professionals offer wedding photography packages for a feasible price. So you need to discuss the pricing policy in detail before making any final decision. You should have a clear idea of how many photographs you would need and which part of the event should be photographed more. You should hire a service provider who can offer you an attractive package for a fairly affordable rate. Are you a school leaver looking for a job opportunity? Or are you a student who just want a summer job to gain some great experiences and earn some extra cash at the same time? If so, this article might help you figure out the chances available for you. Finding a job in a young age benefits you in so many ways. A job will help you pursue your higher studies, cover up the extra expenses and best of all, give you the opportunity to acquire experiences and develop your skills that will help you in the future. If you are having trouble figuring out the possibilities available, keep on reading for some ideas. Whether it’s fashion, interior or even graphic, there are many companies on the look out for interns and assistants. Since you are still young, you might want to start with the basics. You will be working under someone for sometime. This will give you the opportunity to see how things are done and learn different tricks. Due to the high demand in social media, different organizations tend to recruit writers, communication executives, developers, photographers and more. You will be given the opportunity to learn from some professionals. They will show you some great tips which will help you in the future. If you have a talent in sharing what you have learnt you can always go for teaching. There are so many pre-schools and schools willing to hire assistant teachers. You can join as a trainee and after sometime teach students by yourself. This will help you gain some experiences and learn new things. Or else, you can conduct after-school classes to help out students. You can even home visit them. Today there are so many people willing to hire professional planners to get their event done in perfection. If you have a skill in creative designing or planning, this might work pretty well for you. These companies hire various types of talents. If you have a keen eye and a good DSLR, you can even go for Sydney wedding photography. If you are somebody who doesn’t like to work under the command of another, starting your own business or selling your creations by yourself might be the best solution. Great in writing? Offer your skills as a freelance writer. Got some creative designing ideas? Start-up your own business and sell your products. You will be given the added advantage of working online. There is a wide array of job opportunities for the youth. The young, fresh mid will give some brilliant and ingenious ideas. So, get your CV and apply for the jobs that you like. It is important to have various sources that can help the people to store the memories. People enjoy the moments, and they can have the sources like photography, video making, and digital photo frames, etc. People can make some special moments like weddings, birthday parties, anniversaries and other happiest moments as lifelong memories. Different people in the world follow different customs and traditions. Depending on the choice people can hire the photographers and video making specialists store those moments forever. It can be easy for the people to use different gadgets like smartphones, handy cams and other devices for capturing the moments instantly. But it is not good as the professional work. Many professional and best wedding photographers from Melbourne are available these days that can provide their services to the clients. They can have the advanced cameras with various ranges of the lens that can capture the special moments in different styles. They can also provide the facility of editing the images as per the choice and requirement of the people. In the past decades, there were various storage devices like Videocassettes, floppy discs and other tapes that can remain for many years. With the development of the technology, it has become possible to invent many more things which can help in storing various types of files. Virtual drives and external hard disks are the latest developments in storing and sharing the video files and images. For celebrating any event, it has become mandatory to hire the professionals who can make the perfect videos as well as capture the photos. It can depend on the creativity of the photographer to capture the image in various angles so that it can look fabulous. They can provide the entire album with the best pictures in different sizes. There is enormous demand for the skilled and experienced photographers. There are individual universities where they can provide the courses relating to photography and video making. Many applications like Photoshop are available in the software world, that can be helpful for the photographers and editors in making them look beautiful. Some people can have the passion of photography and they prefer to have better pictures always. Especially, wedding photography is an art and they need to spend more time on the bride and the groom so that they can take the best capturing’s from them. Earlier people use to depend on the hard copies for sending their images. But now with the help of soft copies they can share the pictures to any part of the world within few seconds. Sometimes it cannot be possible for the beloved ones to attend the wedding due to various reasons. With the help of the high-speed internet, it has become possible to telecast the live streaming for such people these days. Are you having trouble selling your house? Is this the first time you are trying to sell property? Selling a house can be difficult, especially if you have never sold one before. Though there is usually going to be a demand for it, you will need to make sure that people are aware that the house is for sale. Another tricky part is going to be to sell it for its appropriate value. Here are some tips that may be of help to you. If you are going to be putting your house up for sale, you are going to have to put up a few advertisements. Taking a picture of the house is going to be tricky, since there is a large area that you will have to cover. 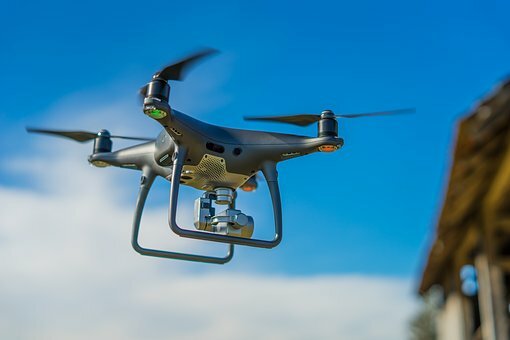 Therefore, one of the best options is going to be for you to look for aerial drone real estate photography which will be able to capture the entire house or most of it. Although this used to be quite expensive, it is not too expensive anymore as drones have become commercially available now. If you want to try and increase the value of your house when selling it, you will need to have it painted. This way, the house will look new and therefore, it will help you with negotiating a better price with your buyer. When choosing the paint, try to go with a color scheme that brings out the best of your house. Deciding on warmer or cooler colors will depend on preference, as well as the amount of ambient light in your house. Try not to go with colors that are too bright as this will make it unappealing. If you are having a challenging time finding interested buyers for your house, you can consider the option of having a real estate broker to help you with selling it. As a bonus, they may be able to suggest places where you can obtain aerial drone photography, if you want an additional reason to get one. However, the drawback is going to be that you will have to split a part of the amount you sell it for, with the broker. Therefore, you will need to decide on whether you are ok with this, before you decide to get help from a broker to sell your house. Therefore, selling a house will require quite a bit of work. These tips should be able to help you with selling your house faster. I think everyone would agree with me when I say that there is nothing more exciting than having a grandchild. That is because at this stage of your life you would most likely be retired. Therefore you would not be forced to work around the clock. Instead, you would get the opportunity to spend time with your grandchild. We understand that you would be overwhelmingly excited if this is your first grandchild. Therefore you may not know how to deal with this child. You know that your grandchild is not your own child. Hence, you are now required to be mindful of your child and the spouse’s relationship. We understand that this can be complicated and confusing one to comprehend. When your child was busy you may have been busy with your work. In that case, you may not have had the time to spend with them. We understand that this still may be a sore point with you. But when it comes to your grandchild that is not the case. That is because now you have the time to take baby photos record their every step. But you need to understand that your children may not have the same luxury. Just like you, they may now be overwhelmingly busy. Therefore due to this reason, you can take up baby photography. Then you would not only have something to look at when your grandchild is big. But you can also share these moments with your children. This way they would not feel like they are missing out. Check this site provide a high quality of photography service that will suit your photo needs. We understand that you have successfully managed to raise your children without facing any problems. But this does not mean that you should give out advice to your children. You need to understand that during the first couple of months parents are touchy. Therefore you should never point out what they are doing wrong. Neither should you make comparisons and say that they can do better. Instead, understand that they too have read the necessary books. But let them make mistakes on their own and learn from them. If you attempt to criticize them it would only lead to conflict between the two of you. Being a parent for the first time is not an easy task and you need to understand this. Therefore try to be helpful towards the new parents. However, this does not mean you should impose yourself on them. Instead, wait for them to ask you for help. Furthermore, you can even offer your assistance. But you should also be prepared for them to turn you down and not take it the wrong way. Being a grandparent is not the same as being a parent. Thus, make sure to read this article in order to understand this clarification.